Great Homesite on Gulf of Texas! 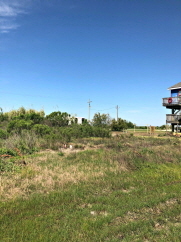 Great homesite for new construction on the coast of TEXAS! The area is very quite and peaceful. Enjoy the beach atmosphere here in Gilchrist with plenty of fishing opportunities and open beaches. Galveston is a short ride to the west for plenty of dining choices. This site can be set up to house your RV if that is what you like.